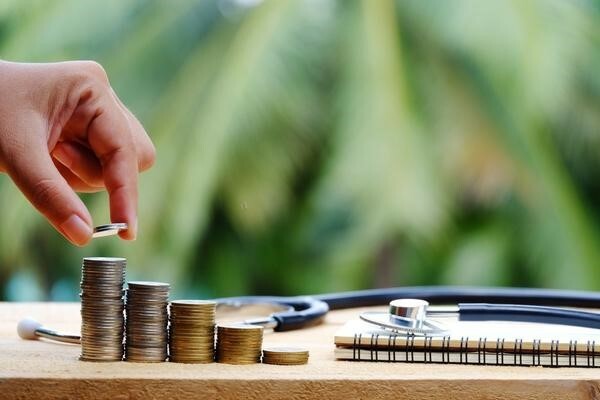 As of early October, the Centers for Medicare & Medicaid Services (CMS) began to implement the Bundled Payments for Care Improvement - Advanced Model. This model builds upon the BPCI that ended on September 30th, and will run until the end of 2023. CMS has stated that this new method will allow providers to choose the payment approach that works best for them - it includes 32 bundled clinical episodes. A change from the previous BPCI is the fact that this new method includes outpatient episodes for the first time, and also provides participants with target prices so that effective planning can be done before the start of each year. The top three clinical episodes selected by participants so far have been major joint replacement of the lower extremity, congestive heart failure, and sepsis. The 1,547 providers and suppliers who participate in this model will receive bundled payments for specific episodes of care (which are detailed in the model), and these payments will be an alternative to fee-for-service payments that prioritize volume of care. In total, 1,547 Medicare providers and suppliers will be participating in this new model. They include 832 Acute Care Hospitals and 175 Physician Group Practices and are spread across 49 states. According to CMS, providers will be able to choose the approach that works best for them and can expect the launch of additional payment models in the future. Under this new model, participants will be given preliminary target prices at the start of each year. These prices indicate the amount of money that CMS will pay for specific episodes of care, and this information will allow providers to plan more effectively. The care episodes covered in the model are meant to be bundled together to reduce the overall cost of care. Healthcare practices may choose exactly how they would like to participate- as “episode initiators” or as part of a larger organization. Episode initiators are to be held fully accountable for financial outcomes of care and are responsible for program performance, while those who participate as part of an organization may end up sharing in both financial losses and gains with a larger group. BPCI Advanced will prompt participating providers to reevaluate the way they deliver care. This will involve optimizing episodes of care depending on the needs of the patient and the practice, and advanced care planning will also be required so that patient preferences can be honored. This new system will also require providers to be thorough in their documentation of care delivered so that data can be analyzed correctly. Although there are positives to participation, there are risks as well. Providers may face financial losses if they are unable to contain care costs within the spending range set by the program. Certain quality metrics must be met as well. Participants are committed to involvement in the program for its duration, so they should be fully knowledgeable about what it entails and how it may affect their practice. If you have any questions about CMS’ BPCI Advanced model, Healthcare Information Services would be happy to help you. We are dedicated to helping healthcare practices achieve a more efficient and profitable future through our array of management and consulting services. We offer revenue cycle management, practice management & consulting, medical coding education, and more, and we work diligently to increase efficiencies in workflows and procedures for your practice. To learn more about our services and about the work we are proud to do for healthcare practices nationwide, we encourage you to contact us today. We worry about your business so you don’t have to.